Tag Archive | "Years Living Club"
Here is an Ecuador investing and business ideas for Ecuador or anywhere you live. 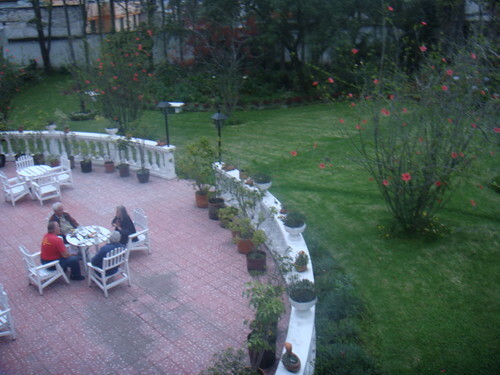 In a moment, I am going to show you how to own this 16 room hotel in Otavalo for almost nothing… maybe even free. First let’s look at a business idea for this hotel… rootlessness… a growing global problem. Problems create opportunity so there is business opportunity in rootlessness. Technology has given mankind the ability to work, live and invest globally… a wonderful benefit. Yet this mobility has created a problem as well. One of my messages many years ago (2002) outlined that there would be a growing market for friendship in this modern era. That message said: The market for friendship has to grow because technology has made society so mobile. I for example have lost nearly every single really good friend from school. I haven’t seen most of the friends I grew up with for forty five years. I imagine they still live in Portland, Oregon, but maybe not. They might all have become travelers like myself. Out of a six pack of school buddies, Steve is the only one with whom I keep in touch. 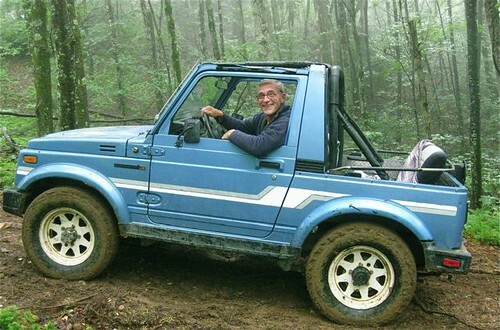 My Samari… 23 years old and only 62,000 original miles. I love being with these wonderful mountain people and their easy going, friendly ways. They have such deep roots and ties and are comfortable and at ease with their friends. They know who they are, where they are and who their friends are because they have been with them their entire lives. These people aren’t hanging around Jay Dee just to get their cars fixed. They are enjoying a ritual of friendship that has united them since they were kids. I love this! My friendships are scattered and far flung all over the world. I sometimes don’t get to see my friends for years! A huge segment (much of the wealthiest) of the population no longer lives where they were brought up. They have lost touch with their roots. The more technology removes us from our origins, the more the market for togetherness and friendship grows. Friendship is an extension of togetherness and can develop around many themes. For the mountain folk of North Carolina or anyone who remains rooted in their birthplace the theme is mostly “down home”. These friendships are tight and if you have ever heard the phrase “You ain’t from around here are ya, boy,” you have experienced the reverse side of this type of friendship. The implication is that with these long term, locally based friendships, the only way to be a friend is to have been there for years. Some of the years I lived in Gloucestershire, England were spent in a tiny village named Chalford. I lived over a local pub there, “The Mechanics Arms.” Though I was a newcomer to the area I was accepted as an old timer because of family ties. One man in his sixties, who visited the pub every night however wasn’t quite part of the crowd. Many of the locals talked about him as the new man in town. I was surprised later to learn he had lived in Chalford for nearly thirty years! The locals would always view him as less trustworthy because he had not been born and raised there. Childhood experiences were the basis of their deepest friendships. Many of us will never have this type of long term familiarity friendship.We have moved around too much. This creates markets for many types of new friendships. Networking is a form of business friendship. The theme of the friendship is scratch my back and perhaps I can scratch yours or we will both be better off scratching each others’ backs. Such friendships can be local, state or country wide or as mine span the globe. They can be very informal or very formal. The market for formal friendships has already exploded. Incredible growth of support groups such as AA are a sign of the momentum in the friendship market. Such groups offer a format for formal friendships and range from disease support groups to abused support groups. Each offers an organized way to have friends. The growth of these groups is not because there are more problems than thirty years ago. The growth is because of the increasing market for friendships. We can see this trend spreading everywhere. For example one telephone company has recognized this growing trend and has successfully built its business around the idea of calling “family and friends. This thought (that a market for friendships would grow) was correct. We see this on the internet with one of the biggest trends being social networking sites. A recent New York Times article, “Invisible Immigrants, Old and Left With ‘Nobody to Talk To” by Patricia Leigh Brown reveals a sliver of this problem. Here is an excerpt from this article: They gather five days a week at a mall called the Hub, sitting on concrete planters and sipping thermoses of chai. These elderly immigrants from India are members of an all-male group called The 100 Years Living Club. They talk about crime in nearby Oakland, the cheapest flights to Delhi and how to deal with recalcitrant daughters-in-law. Together, they fend off the well of loneliness and isolation that so often accompany the move to this country late in life from distant places, some culturally light years away. “If I don’t come here, I have sealed lips, nobody to talk to,” said Devendra Singh, a 79-year-old widower. Meeting beside the parking lot, the men were oblivious to their fellow mall rats, backpack-carrying teenagers swigging energy drinks. In this country of twittering youth, Mr. Singh and his friends form a gathering force: the elderly, who now make up America’s fastest-growing immigrant group. Since 1990, the number of foreign-born people over 65 has grown from 2.7 million to 4.3 million — or about 11 percent of the country’s recently arrived immigrants. Their ranks are expected to swell to 16 million by 2050. In California, one in nearly three seniors is now foreign born, according to a 2007 census survey. 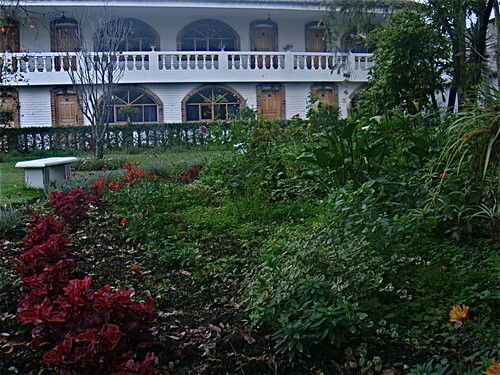 Now let’s look at this 16 room hotel in Otavalo that you can have for almost nothing… maybe even free and how it could offer a business that solves this problem. First, let me detail the hotel and why a fabulous bargain has come up… and how this hotel can fit into the friendship market. 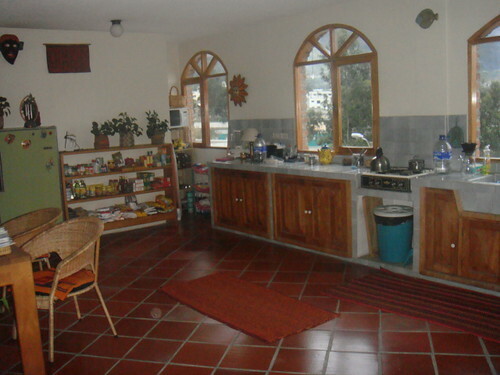 hotel for sale in Otavalo. 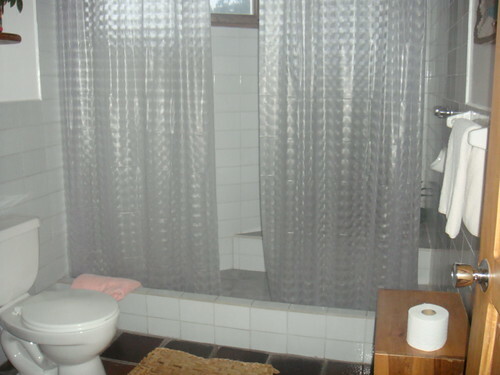 The owners have had this on the market for a number of years at one million dollars. We thought this price was too high and never wrote about it. Earlier this year they dropped the price to $750,000 and offered us $150,000 commission if we sold it. I wrote then: The owners offered us a $150,000 commission to sell the hotel. We are not brokers and do not take commission so our reply was “cut the price for our readers”! This would place the price at $600,000… an interesting value. $600,000 may have been interesting but the owner now just emailed us and dropped the price to $495,000. This places the price beyond an interesting value into the bargain range. Plus the owners again offered us a commission. We do not take commissions so whatever (how much commission was not clear) amount they would pay could be deducted from this price. This makes the hotel a real bargain. At $750,000 the commission of $150,000 was 20%. 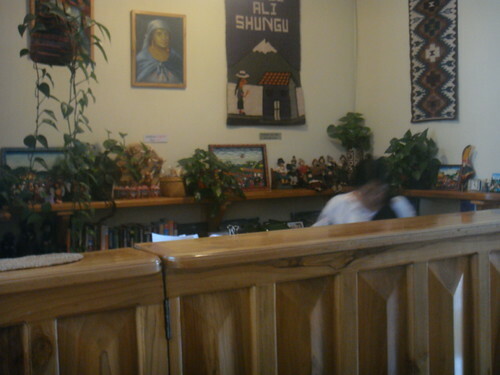 We don’t know of course about the commission, and I didn’t want to wait to verify this because this hotel is valuable, beautiful and it could work out at about $35 a foot on the building and leaves you the land (which right next to Otavalo market is worth a lot). Yet there is more. I believe you can get the land and the 16 room hotel for almost nothing. First: the hotel details. 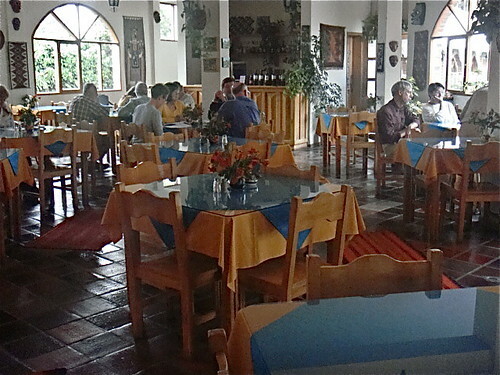 The hotel is right next to Otavalo Market, one of the largest tourist attractions in Ecuador. The property has these characteristics: Appx. 30,000 sq. feet of land and 12,000 sq. feet of building in 3 apartments and 16 hotel rooms. Ma too likes it there. There is approximately 12,000 square feet of solid brick and cement construction. On the property, there is plenty of room for expansion and development, especially in a town where there is absolutely no land left to develop. 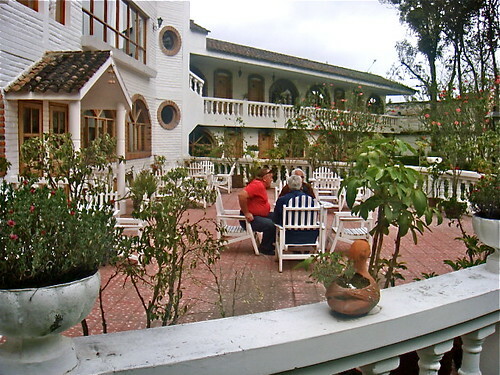 The building is built in the old colonial style with finely crafted hardwood arched windows and doors, rustic floor tile and traditional clay-tiled roof. The building is constructed according to U.S. anti-seismic standards. The owner claims this is one of the best built constructions in Otavalo—and one of the prettiest in the city! The building boasts excellent water pressure on all four floors. (Please don’t pooh pooh this quality!) The building has a powerful, propane gas-fueled boiler system capable of producing up to 700 gallons of hot water a day. 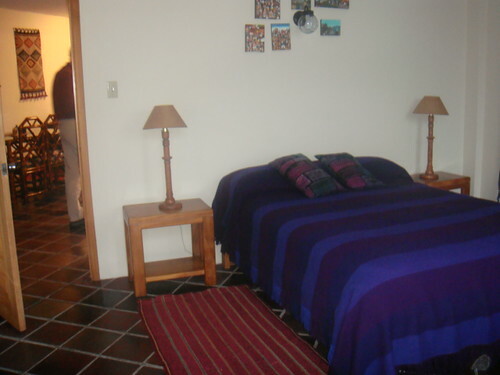 With access to the land/building from two streets, the property has frontage on 3 streets, which have been newly paved by the City of Otavalo. 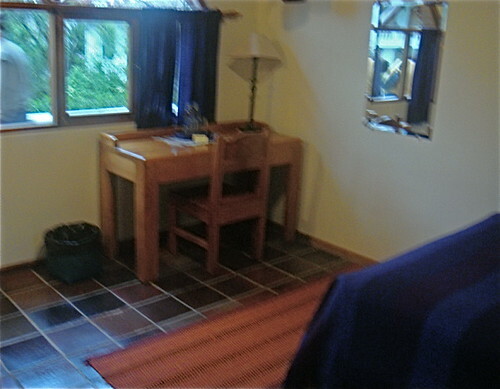 Characteristics: 16 rooms, large social area (restaurant), large working kitchen, two medium-sized apartments, one large penthouse apartment, small building in back (approximately 250 square meters) that serves as a laundry room and storage facility, which also has a full bathroom and a working fireplace. This could easily be converted into a small rental property. 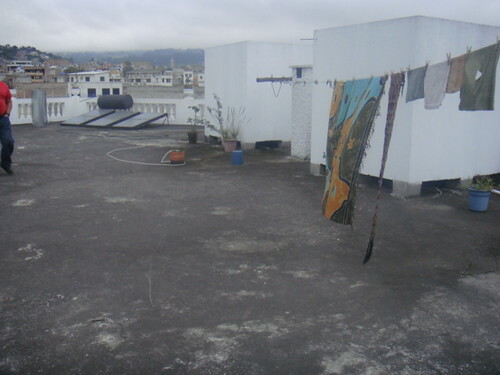 Adjacent, yet private, to the main property, and which consists of 350 square meters of our total property, is a working area and parking garage (which can accommodate approximately 6 cars), with clothes lines, and general storage area. First floor: Consists of large working kitchen, with back door exit to outdoor enclosed pantry/food storage room, laundry area and herb garden. 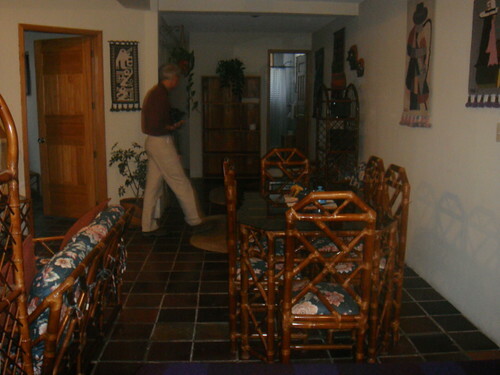 There is a large dining room (approximately 2,500 square feet) with excellent working fireplace, and space to comfortably entertain 60 or so people. The dining room leads outside onto the tiled patio and garden where there are tables and chairs for serving and relaxing, and this area may be used to accommodate another 30 or so people. 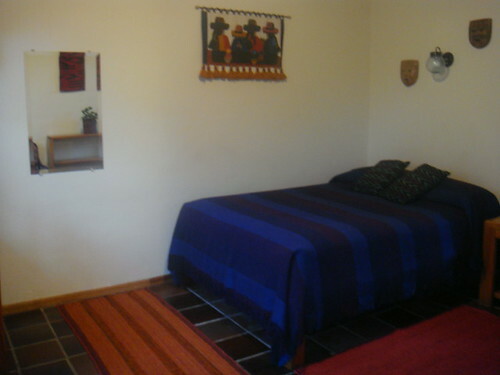 Also on the first floor there are 8 rooms which have served as hotel rooms, each 55 X 45 feet in size with large bathrooms. 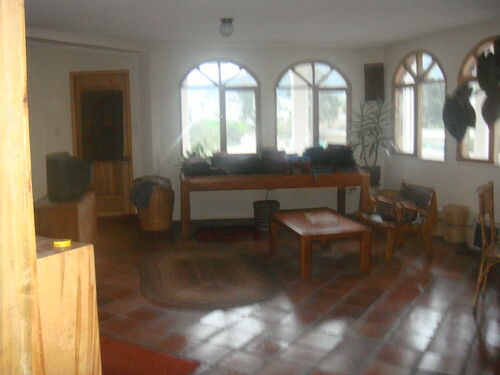 All rooms face out into the garden and the property is in front of Mount Imbabura. 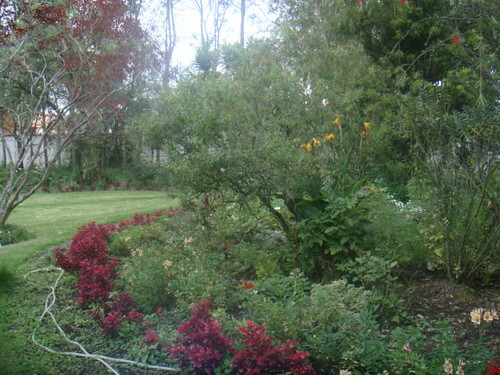 Hundreds of hummingbirds and exotic birds roam the grounds. 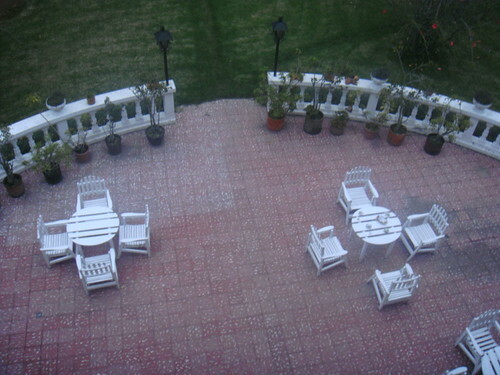 Patio seen from one of the three apartments. Second floor: There are two spacious apartments, each about 1,100 square feet in size, with glass windows looking down onto the garden. 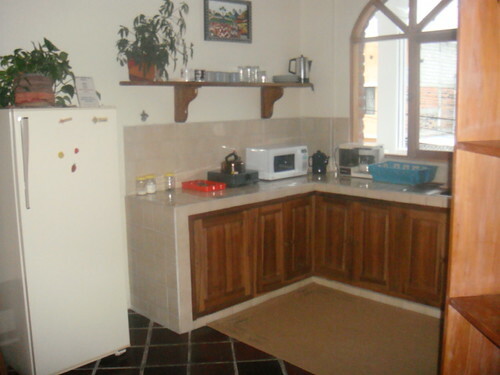 Each apartment has a large bathroom and a kitchenette with small balconies in the back. Also on the second floor there are 8 more rooms, equal to the rooms on the first floor, that open onto a balcony over-looking the garden. 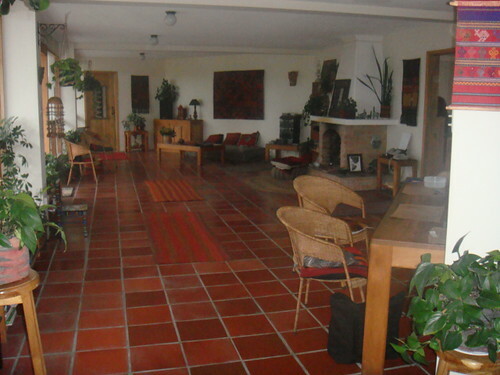 Third floor: There is a very large “penthouse” apartment, approximately 2,250 square feet with large glass windows and a large balcony overlooking the garden. 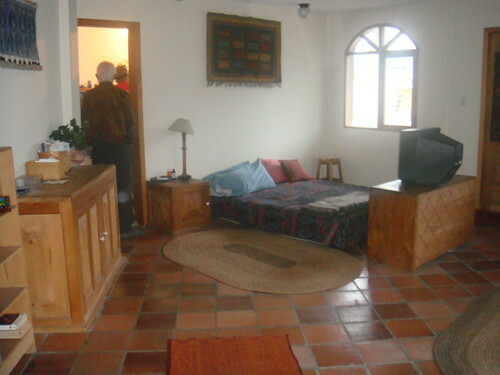 This apartment has one bathroom with a small adjacent room that may be converted into a sauna, large spacious kitchen and living room, two large bedrooms, and a large working fireplace. The Roof: The penthouse apartment has stairs that lead to the roof, where there are two 5,000 gallon reserve tanks for storing water (if needed), as well as more storage space. As stated before, there is excellent water pressure on all 4 floors. 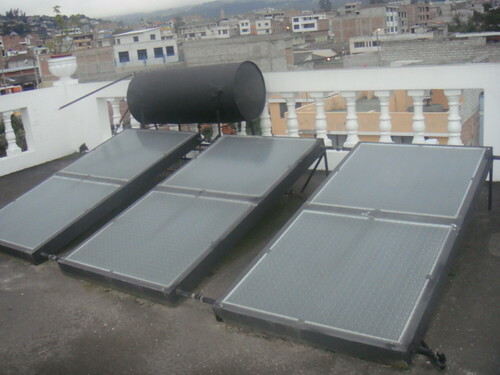 Also includes a solar hot water system which connects into the boiler system. This is an excellent facility with wonderful grounds in a high priced area..
Let’s look at the owner’s explanation of why they have lowered the price… then we’ll see how to get this hotel for almost nothing. 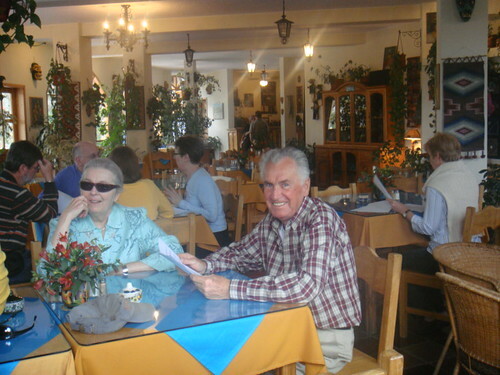 Hello Merri and Gary, This is Margaret from Ali Shungu in Otavalo. I have been living up here on the mountain for about 6 months full time, going back and forth to the Hotel. I feel better up here in my little house with my projects. 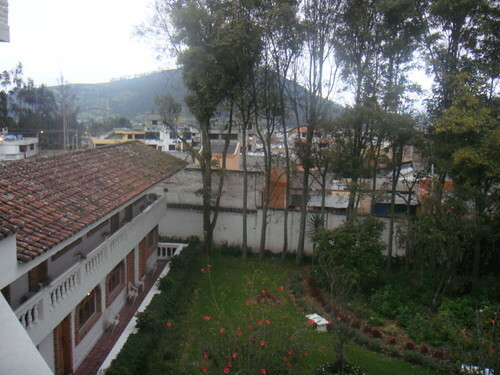 I have been recovering from an illness and have been in the hospital in Quito. They said that if this diverticulitis does not clear up, and it has been bad for about 6 months with 3 months of vomiting, fever, etc.,–that I will need an operation to remove it. I’m drinking all kinds of herbs and aloe vera cactus and only boiled simple foods, and hoping to heal without an operation. 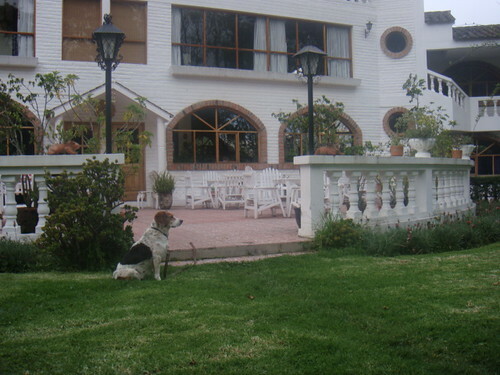 Did 2 rounds of antibiotics, might have to do more…….I will say though, that the hospital bill was not that bad in Voz Andes for all the tests that I had and treatments, etc. I will now take care of myself more, and do more praying! I might need intravenous antibiotics but I do not want to go back to the hospital in Quito. There you have it… a owner whose health no longer allows them to run the hotel nor wait out a high priced buyer. Here is how to get this 16 room hotel for almost nothing. I believe that the three apartments, if separated from the hotel and sold on their own, are worth near the price of the hotel. 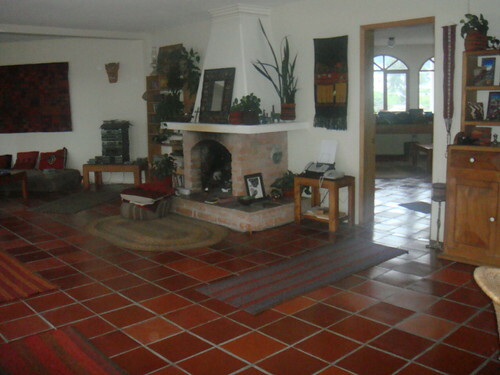 I do not know the Otavalo real estate market so well…but I have seen the apartments and penthouse and they are exquisite. If they are and if you can buy this for hotel in the $400,000 range… this means the 16 room hotel, the grounds and the restaurant are almost free. This will require some negotiating, some work and legal work (Ecuador lawyers are not very expensive)… but could provide one heck of a deal. 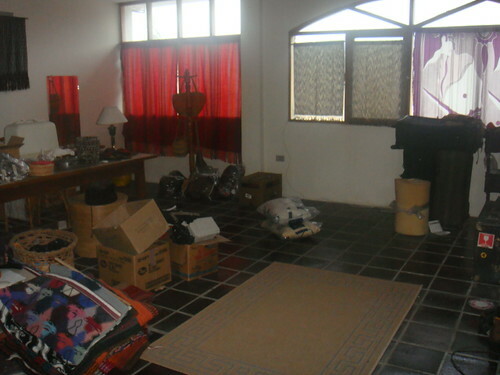 We have put our Ecuador Living subscribers in touch with the sellers. 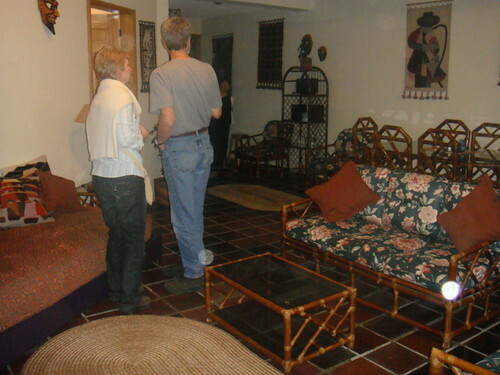 To gain this contact information you can subscribe to Ecuador Living here. 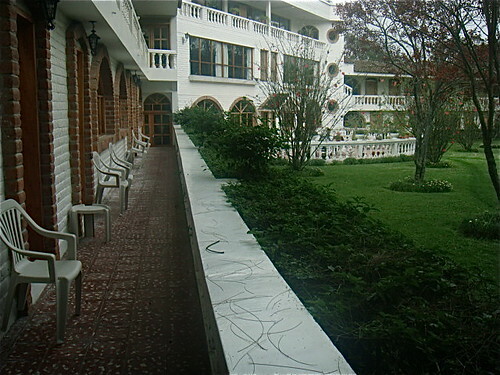 If the hotel is not under offer, we’ll show it on our upcoming October Andean Real Estate tour. See tour details here. Merri and I are not involved financially in any way with this offer. We have not looked at the hotel’s financial accounts, legal situation, titles, nor had an engineering inspection, so be sure to take all normal precautions if you are interested. Especially look at the labor obligations you’ll absorb. 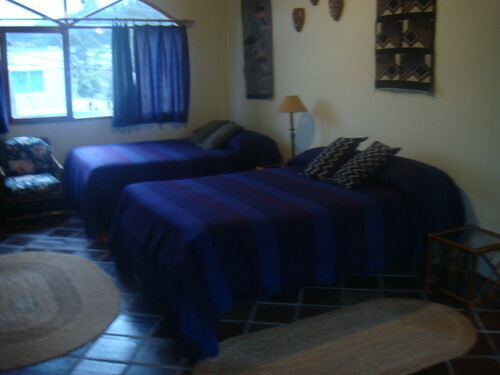 Our recommendation for those who are interested in Ecuador is to come visit first… look around… rent and stay awhile… before you buy. 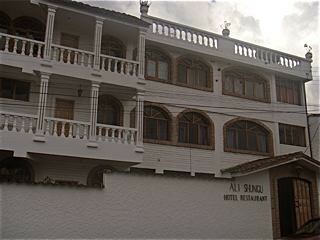 One reason for this recommendation is that when you are here awhile you’ll see bargains… like this and I believe for the reasons stated that Hotel Ali Shungu is now a bargain. Now let’s see how this creates opportunity from the problem of rootlessness. Americans and Canadians are flocking to Ecuador. I know. Our Ecuador Living business is going wild. The subscription pace has almost doubled recently and the request for rentals in this area has skyrocketed past our ability to keep up! The demand is especially strong at the lower income level… those who are retiring and can no longer have a decent life in Canada or the US… especially in places where there is winter sun. There people are isolated… often not speaking Spanish and with little to do. So Turn this hotel into a residence for gringos. Provide free internet… US papers…. 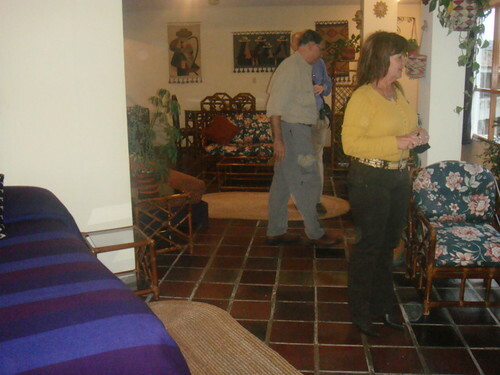 weekly Spanish lessons… a support program… group tours, travel assistance etc. There is one more value. Yesterday’s message How to Make Money in this Multi Currency Era explained how, due to the falling US dollar, Ecuador real estate has become a 10% better value since this last February. The greatest asset of all is the ability to earn globally in many currencies. This is why we are providing a special three for one offer with our course Tangled Web… How to Have an Internet Business that can help you create your own internet business. These two courses have sold for $398 and thousands have paid this price. We add them to your course at no added cost as I believe they will help you develop a better business in these crucial times..
Read the entire article Invisible Immigrants, Old and Left With ‘Nobody to Talk To here.